RICHMAND, VA. — 49ers legend. 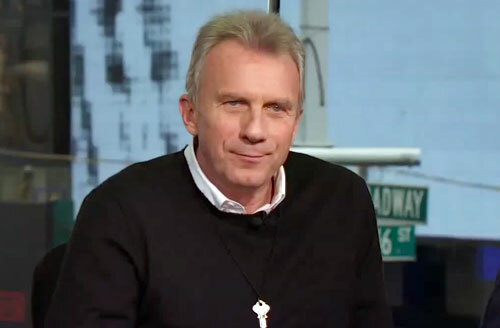 Joe Montana, will be the national Catalyst4Change honoree at Wernle Youth & Family Treatment Center’s annual program. The event takes place from 5:30 to 9:30 p.m. on Sept. 24 located at the Lingle Wellness Center at 2000 Wernle Road at the Wernle Youth & Family Treatment Center. Seats for the dinner were made available first to sponsors. They now are on sale to the public for $100 each or $700 for a table of eight. Wernle offers residential and outpatient therapy programs for troubled youths ages 10 to 21 and their families. Wernle officials hope the Catalyst4Change program will close out the nonprofit’s $5 million Community of Hope fundraising campaign. All money raised goes to fund a second residential unit and a new administration building. Last year’s Catalyst4Change national honoree, Tim Brown, a former Oakland Raiders receiver and Hall of Famer, couldn’t attend the program because of a schedule conflict, so he agreed to be this year’s Catalyst4Change master of ceremonies. In addition to Montana, other honorees will be recognized for their work to help youth. Jack and Debra Edelman, owners of Recycling Center Inc. are the local honorees. U.S. Sen. Joe Donnelly is the regional honoree. Chicago businessman Stuart Taylor, a Harvard and Yale graduate, will be honored for philanthropy. Joe Montana started his NFL career in 1979 with San Francisco, where he played for the next 14 seasons. While a member of the 49ers, Montana started and won four Super Bowls and was the first player ever to have been named Super Bowl Most Valuable Player three times. Montana was elected to the Pro Football Hall of Fame in 2000, his first year of eligibility. In 1999, ESPN named Montana the 25th greatest athlete of the 20th century. Sports Speakers 360 is a booking agent for motivational sports speakers. If you would like to book pro athletes or NFL stars like Joe Montana for a speaking engagement or appearance, please contact Joe Montana’s booking agent for speaker fee information. For details on how to hire San Francisco 49ers players for appearances, call 1.855.303.5450.